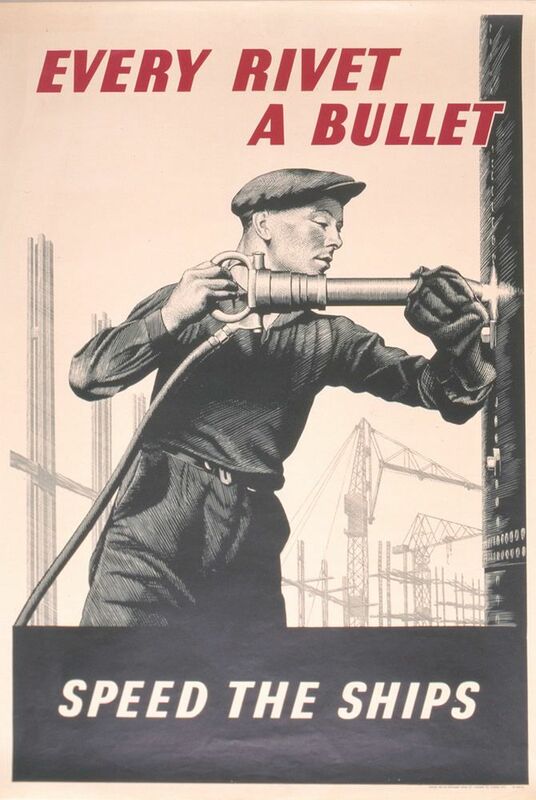 Second World War poster issued by the Admiralty featuring a Riveter at work. This Every Rivet a Bullet Speed the Ships Art Print is created using state of the art, industry leading Digital printers. The result - a stunning reproduction at an affordable price.